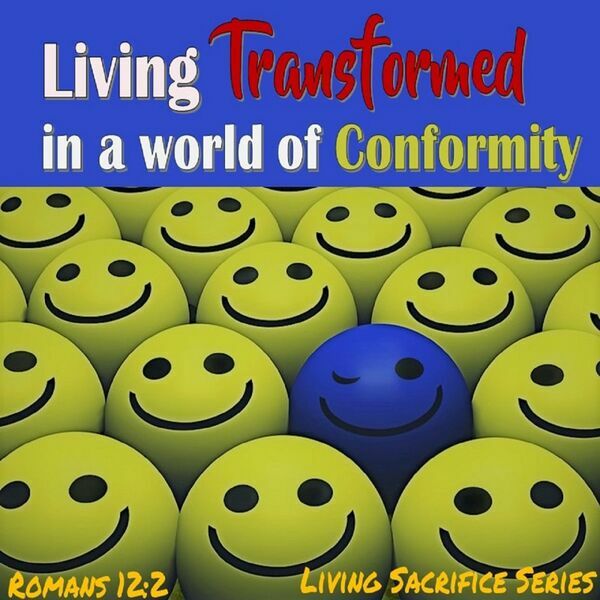 Description: We live in a rapidly changing culture and it is having a profound effect on Christians and the Church. Behavior and lifestyles that only a few years ago seemed abnormal or out of the mainstream are now not only accepted but even celebrated. The lines between how society defines good and evil and right and wrong are being blurred and it is happening at such a pace that many in the church don't know how to respond. As personal experience, circumstances and opinions are elevated over any form of absolute truth the world does not need our conformity or for us to blur the lines about what we believe and stand on as found in God's word; the darkness needs a light! So how do we respond? How do we show grace, mercy, and love to those around us as we reach out to minister and share the Gospel without compromising what we hold dear? The Apostle Paul lays out some simple principles in Romans 12:1-2 that might hold some answers. Join us as we continue our study from these foundational verses and examine our individual and corporate worldviews and how they effect our thoughts, beliefs, principles and the way we live them out. We live in a rapidly changing culture and it is having a profound effect on Christians and the Church. Behavior and lifestyles that only a few years ago seemed abnormal or out of the mainstream are now not only accepted but even celebrated. The lines between how society defines good and evil and right and wrong are being blurred and it is happening at such a pace that many in the church don't know how to respond. As personal experience, circumstances and opinions are elevated over any form of absolute truth the world does not need our conformity or for us to blur the lines about what we believe and stand on as found in God's word; the darkness needs a light! So how do we respond? How do we show grace, mercy, and love to those around us as we reach out to minister and share the Gospel without compromising what we hold dear? The Apostle Paul lays out some simple principles in Romans 12:1-2 that might hold some answers. Join us as we continue our study from these foundational verses and examine our individual and corporate worldviews and how they effect our thoughts, beliefs, principles and the way we live them out.